At our Hyundai dealership near Madison, we believe that buying a car should be simple. Many dealerships make it tougher than it has to be, but we prefer our customers to have a stress-free, enjoyable experience applying for a car loan that adds to the excitement of leaving our lot with a new Hyundai. 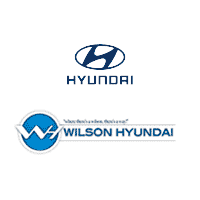 When it comes to great car buying experiences, quality customer service, and top notch financial professionals, Wilson Hyundai has you covered. While we are proud of all aspects of our dealership, our finance center is exceptional. The financial team at our Hyundai dealership are experts in their field who are determined to help drivers secure the ideal Hyundai for them. Financing drivers from all over the area, our finance professionals have the far-reaching connections to help those in need, even if they have complicated credit situations. One way we make applying for a car loan easy is by offering a number of online financing services and tools. To help Madison area shoppers plan out their car trade-ins, we offer an online car trade-in evaluation so shoppers can figure out the numbers in the comfort of their own home. To bring home the Hyundai you want, it only takes the simple step of filling out our finance application. This quick and secure online form asks for basic information as well as important details about your living situation. This easy step of providing us with the information we need brings us closer to finding the payment and terms that work best for you. As soon as we process your information, one of our experienced Financial Managers will call you to review your options. For more information on applying for a car loan, contact us at Wilson Hyundai today!